St Maurice’s High School is a Roman Catholic High School in the new town of Cumbernauld. The catchment area serves the west side of Cumbernauld, Condorrat, Eastfield, Croy, Kilsyth and Moodiesburn. 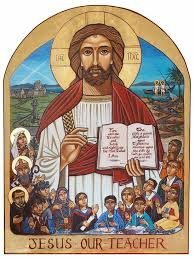 We also have young people from Glasgow, Chryston, Muirhead, Balloch, Abronhill, Carrickstone and Westerwood where parents have chosen to send their children to St Maurice’s rather than other schools. The name of St Maurice was chosen since he is the patron saint of the town of Bron in France, the “twin-town” of Cumbernauld. A welcoming, safe and inclusive Catholic, Christian community which aims to inspire pupils to reach their full potential through and ethos of hard work and the teaching of Gospel values. The strong Catholic ethos which supports the positive relationships across the school community. Confident, articulate and caring young people who demonstrate a positive attitude to their work and the wider community. The wide range of high-quality opportunities for personal achievement which are valued by young people. The commitment of staff to providing out-of-class activities to support young people’s attainment and personal achievements. The headteacher’s success in developing a culture of shared leadership resulting in improvements across the school. It is a school which meets the needs of all pupils by providing a pathway for every pupil to achieve their potential through an inspiring environment, the provision of excellent learning and teaching an ethos of hard work. It is a community in which everyone – staff, pupils, parents and others associated with the school – works in partnership to provide an education of the highest quality for all our pupils. 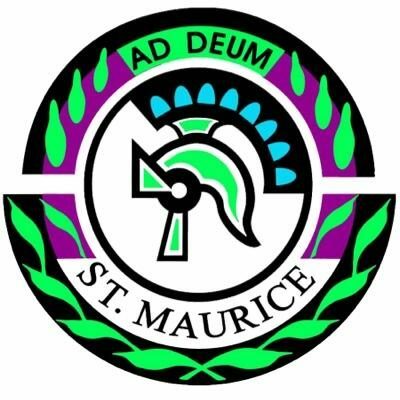 St Maurice’s is building a reputation as a school with very good academic results which also addresses broad achievement and has outstanding sports and out of class learning opportunities. North Lanarkshire records show that St. Maurice’s provides an excellent pathway to Higher Education and is consistently among the top 4 North Lanarkshire schools in doing so. Saint Maurice’s status as a former Sports Comprehensive allowed fantastic opportunities for Sports and Leisure with excellent in-house coaching and superb links to community clubs to allow for future progression. All sports are encouraged and high levels of participation for all pupils are a target. We also have an emerging group of elite athletes and sports men and women. We have current internationals in Basketball, Athletics and Triathlon, Tae Kwon Do, Handball, Volleyball, Trampoline and pupils performing at County level in all of these sports plus Football and Rugby. We are a Scottish Rugby Union School of Rugby and a School of Basketball. In each year, 20 S1 and S2 pupils [boys and girls] will be part of a School of Rugby and School of Basketball classes, learning to play the games but also using Rugby and Basketball as a vehicle for developing personal and social skills and skills for their own health and wellbeing. Standards of uniform are very high and pupils show pride in their membership of this school community by wearing school uniform including the school blazer. Pupil welfare is a priority and there are excellent links with partner Primary Schools which allow for very good transition arrangements. Pupil behaviour is very good and the school enjoys an excellent reputation in the community. These transition arrangements are allowing for very good preparation for Curriculum for Excellence. Teachers in Saint Maurice’s are embracing Curriculum for Excellence by reviewing and updating their skills and building links between subject areas to allow for more cross-curricular and interdisciplinary learning. We are currently working towards a Rights Respecting School Award. The school Administrative Offices, a newly refurbished Oratory, teaching rooms for English, Support for Learning, Modern Languages and Business, a Horticultural area, the Assembly Hall, Dining Room and staff accommodation are located at ground level with two landscaped internal courtyards. Above this is a two-storey block for Science, Home Economics and Religious Education. A separate block, to which access is gained directly from the main block, houses the Gym, Drama studio, Dance Studio, Games Hall and changing rooms. The rear buildings of the school contain classrooms for Mathematics, Social Subjects and Drama, Music rooms and practice suites, a staff-room and offices, including a Conference Room and an “open-plan” Art department. 5 ICT suites are available for use within the school. Apart from the buildings themselves the site has two Football pitches, a hockey pitch and a grass rugby/football pitch. Car parking is provided all around the school. A lift, ramps and specially designed toilet accommodation have been provided to make possible the admission to the school of students with additional support needs, including those with wheel chairs. It is most important that pupils do not confine their energies to the classroom. They are encouraged to join school clubs, take part in educational visits, make full use of the school library, and enjoy a full list of sporting activities, including school football teams; five-a-side competitions; girls football; badminton; basketball; skiing and snowboarding; professional golf lessons; swimming; gymnastic club; cinema, theatre and concert trips; school trips at home and abroad; debating; school band and choir; quiz teams and book clubs. Pupils go on an Outward Bound course each year at Loch Eil, Fort William. Trips leave Saint Maurice’s for Malawi, skiing in the French Alps, Rome, the West Coast of America, with football trips to Europe and exchanges to Tuscany, Italy. Over the past few years Out of School Learning Activities have expanded considerably in St Maurice’s. As well as traditional exam revision and supported study offered in the second term, St Maurice’s offers a large number of activities designed to raise achievement and self-esteem. We currently work in partnership with colleges to provide opportunities for Hair and Beauty, Auto motives, Horticulture and Child Care within the school. We strive to encourage lifelong learning and citizenship. We currently offer a summer school, a programme for new S1 entrants designed to aid transition to the secondary school where pupils are encouraged to get to know their staff and fellow pupils and become familiar with the school surroundings before the session starts. The School library has S1 and S2 lunchtime reading clubs and is also available to promote reading and literacy in S1 and S2 through personal reading, discussion and writing about novels of pupils’ choice. Senior School student’s mentor young pupils as “Buddies” and we have a thriving youth St Vincent de Paul Group which does fantastic work. We also have fundraising groups for Teenage Cancer Trust and Malawi. Many of our Senior pupils achieve the Caritas Award and serve the school and parish communities in faith. Senior pupils in the Enterprise Group take responsibility for organising a variety of activities and social events for younger pupils. As a Catholic School, our commitment to values such as love, charity and respect is shown in the myriad of charitable fund-raising which goes on in Saint Maurice’s in a year. St Maurice’s sees itself as a focal point of the local community. It is therefore, a priority of the school to develop and strengthen links with the local community. These links include working together with industry, Glencryan School, local interest groups etc. Community and involvement of our pupils is encouraged. The school building itself is a fully used resource for the social and educational activity locality. St Maurice’s High School has excellent relations with its associated primary schools which are Holy Cross Primary, St Helen’s Primary, St Patrick’s Primary, Kilsyth and St Michael’s Primary. Please use the ‘contact us’ box if you have any questions. For more information, see ‘related pages’, ‘downloads’ or ‘other useful websites’.